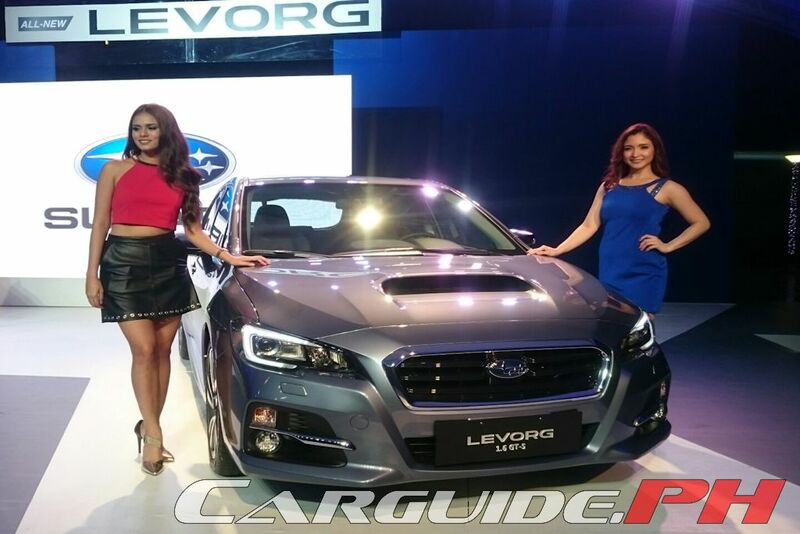 Proving itself an impressive machine during its Taiwan sneak peek a few months back, the Subaru Levorg has finally made to the Philippines and just in time for those who want to get themselves a new car this Christmas season. 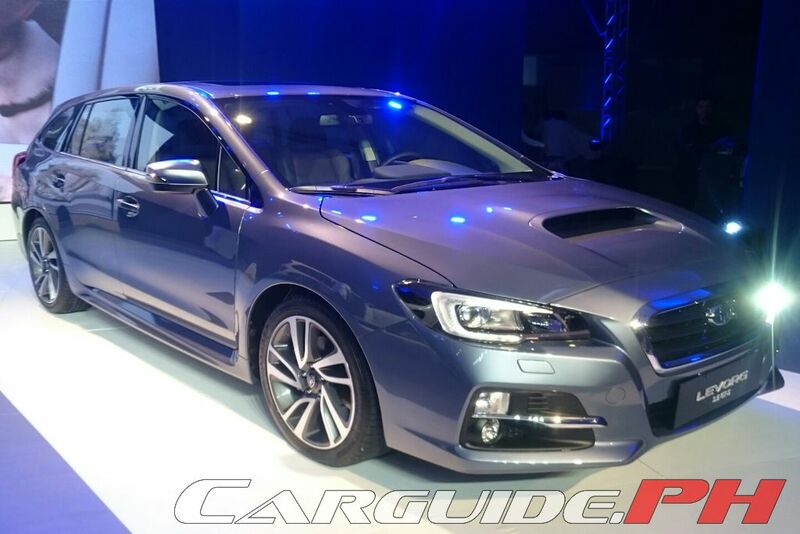 “Subaru’s brand new model is an Innovative Tourer that combines the sports performance of Subaru with the practicality of a wagon. With a newly developed boxer engine, agile handling, and abundant space, we feel that the Levorg will appeal to the functional, family-oriented, and adventurous customers who appreciate performance, touring capabilities, and ample cargo space,” says Mr. Glenn Tan, Executive Director, Tan Chong International Ltd., parent company of Motor Image. With a name that stands for ‘Legacy + Revolution + Touring’, the Levorg combines attributes such as sportiness and practicality, performance and efficiency. At its heart is the new 1.6-liter flat-4 equipped with both direct injection and turbocharger technology. The FB16 produces a healthy 170 horsepower at 4,800 to 5,600 rpm and 250 Nm of torque from 1,800 rpm to 4,800 rpm. Further improving its fuel efficiency, the Levorg comes equipped with Lineartronic chain-driven CVT transmission as well as SI Drive with Sport and Intelligent modes. Finally, it’s the first Subaru model locally to be equipped with an idle start/stop function. All in all, it should reach up to 17.4 km/L based on Japanese market tests. Apart from the boxer engine, the Levorg also comes standard with agile and confident handling. Using the WRX as a basis, Subaru engineers designed a unique rear end that not only improves the ride but gives a cavernous 522 liters of cargo space with the seats up. Of course, it also comes with Symmetrical All-Wheel Drive. Continuously honed and developed by Subaru since 1972, the system in the Levorg features an Active Torque Split system with a rear-biased power distribution (40/60). Power can then be sent to the set of wheels that require more traction. In addition, it has Active Torque Vectoring as standard. The sportiness of the Levorg’s performance is matched by its solid and planted design. Upfront, the hexagonal grille (with horizontal chrome elements) and hawk-eye LED headlights take center stage. At the side, the aluminum finished side mirrors add a bit of European sophistication. The entire look is punctuated by the integrated roof spoiler, sharks fin antenna, C-shaped tail lamps, and twin exhaust pipes with built-in diffuser. It rides on 225/45 R 18 tires as standard. Inside, it successfully mixes business with pleasure with playful blue stitching to the black leather seats. The straight-forward monotone cockpit is accented by the flat-bottomed steering wheel and aluminum trim on the dashboard and side sills. In terms of convenience features, it boasts of powered driver’s seat, a dual-zone climate control, a touch screen audio system with Bluetooth, voice commands, and 5 USB ports (two exclusively for charging), and a moon roof. It also has automatic LED headlights, rain-sensing wipers, and a push-button engine start/stop with passive keyless entry. A leader in safety, the Levorg pushes the envelope further. Aside from the full suite of 7 airbags, ABS and EBD, Vehicle Dynamics Control System (VDC), and a rear parking camera, it comes with a set of new technology firsts for Subaru. The Levorg is the first model in the local Subaru family to come equipped with High Beam Assist which toggles between high and low beam automatically and Subaru Rear Vehicle Detection (SRVD) that combines both blind spot monitoring and cross traffic alert when backing up. 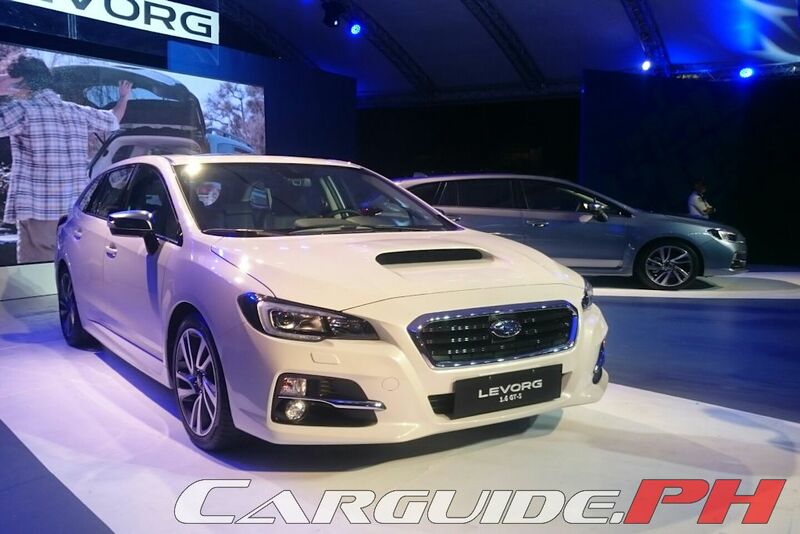 The all-new Subaru Levorg arrives with a single variant, 1.6 GT-S. It is now available at all Subaru dealerships nationwide with a retail price of P 1,718,000. P1.7M for a 1.6l engine? It is a direct-injection turbocharged engine plus the car is AWD. However, it is still pricey. The new Focus 1.5L Ecoboost has a more potent turbo engine for 600k less. For a few thousand more, you're already looking at the bigger Mazda6 wagon or Subaru's more powerful Forester XT and WRX sedan. Maganda itong Subaru Libog. Bagay sa akin eh. Malibog kasi ako na tao.